I just want to compliment, Scott, my service person. I am totally happy with his service and would like to have him back for all tune-ups. Scott is extremely positive presence for Precision Air. Running a non-profit historic house museum the size of Belle Meade Plantation is not without its challenges! Unpredictable spikes in energy cost and unscheduled HVAC repairs were playing havoc on our limited resources. After months of research and evaluation, we chose a geo-thermal system and Precision Air for installation and maintenance. What a great choice on both accounts! Our system has performed flawless and just about eliminated break downs. Our energy cost are contained and the staff daily appreciated the comfort of warmth and coolness the system provides. The team at Precision has been nothing but professional and we consider them an extension of our staff. 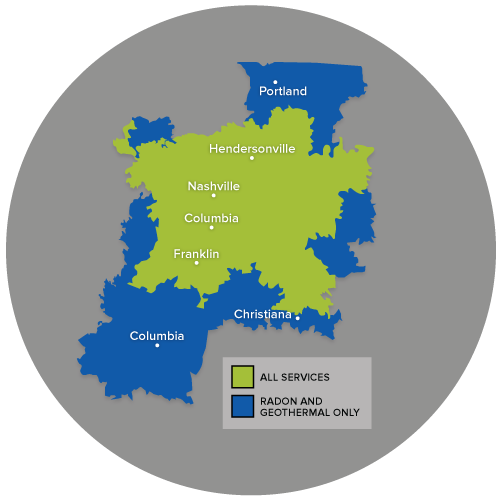 Our new geo-thermal will help towards keeping Belle Meade a treasure for Nashville for another 200 years!